Another very wet day, I have to confess that I didn't stop very much, nor did I look at much of the countryside around me as I followed the River Tummel and then the Tay, after their confluence at Balmacneil, down towards Perth. 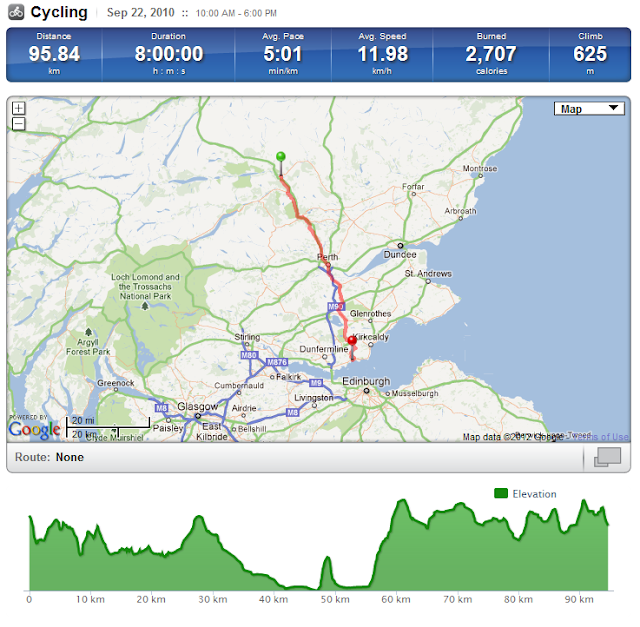 Arriving at my destination at 17.30 meant I was averaging only circa 8mph; this perhaps reflected the fairly steep climbs in central and southern Fife and my general tiredness. Pitlochry is a lovely little town and has many attractions including a repertory in the form of the Pitlochry Festival Theatre. My favourite though, from my childhood, is the hydro dam and fish ladder. I recall my maternal grandfather, Angus Fulton, being particularly proud of the design and solution for this last link in Tummel Valley hydro scheme and its associated fish ladder. 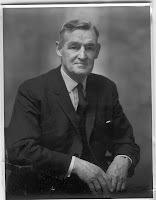 Angus Anderson Fulton (1900-1983) was the General Manager of the North of Scotland Hydro Electric Board and actively involved in most of the hydro schemes in Scotland. 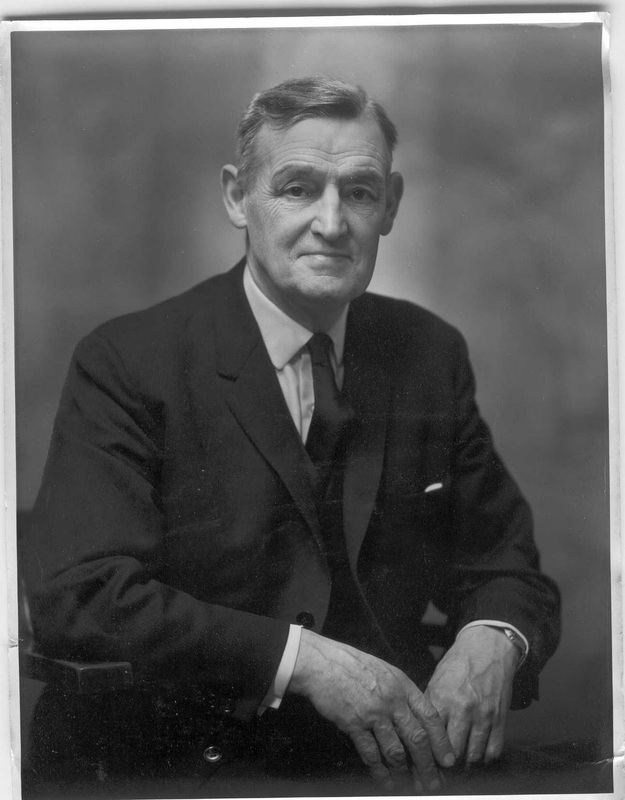 He was the 105th President of the Institution of Civil Engineers (1969-70). The Pitlochry dam with fish ladder in foreground. The 310m long fish ladder was constructed as a result of a 1943 Act of Parliament which laid a duty of care on the North of Scotland Hydro-Electric Board to preserve fish stocks in the waterways encompassing its power schemes. The fish ladder consists of 34 separate pools, each 1.6 feet (50 cm) higher than the last and covering a distance of 339 yards (310 m). Each pool has a 3.3 feet (1 m) opening below the water level to allow the fish to pass to the next pool; a continuous flow of water maintains the water level in the pools. The power rating of this station is only 15MW but it is part of the wider scheme from Loch Ericht, Garry and Rannoch. To cross over from the main town to the dam and festival site by foot or bicycle there is an beautiful nearly 100 year old suspension bridge. The Clunie suspension footbridge was built at a cost of £850; was funded by public subscription as well as a grant of £250 from the council of the day. It opened on Empire Day, 1913 and can be extremely wobbly. It was a very wet day when I walked over this. Although I did get a glimpse of the sun I saw it some way off streaming through the clouds. Loch Leven with a glimpse of sunshine through the clouds! oh dear, sorry to hear about more rain. It arrived here this morning too. Never knew you were related to a former ICE prez and hydro expert. Very impressive!